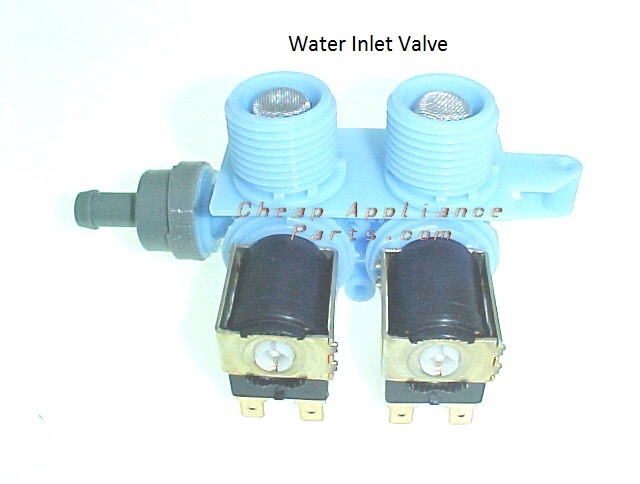 The water inlet valve is most always found on the back panel of your clothes washer. It is used to supply cold, warm or hot water to the clothes washer’s tub. 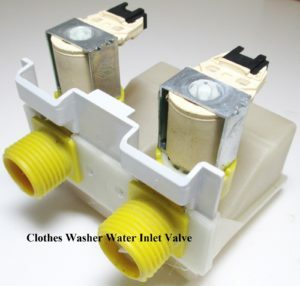 If you have noticed that your GE washer takes longer than usual to fill with water, your washer does not have cold water, hot water or very little to no water, maybe you even hear a buzzing or humming sound coming from behind the clothes washer console, then these are all symptoms of a bad water inlet valve, but not always. 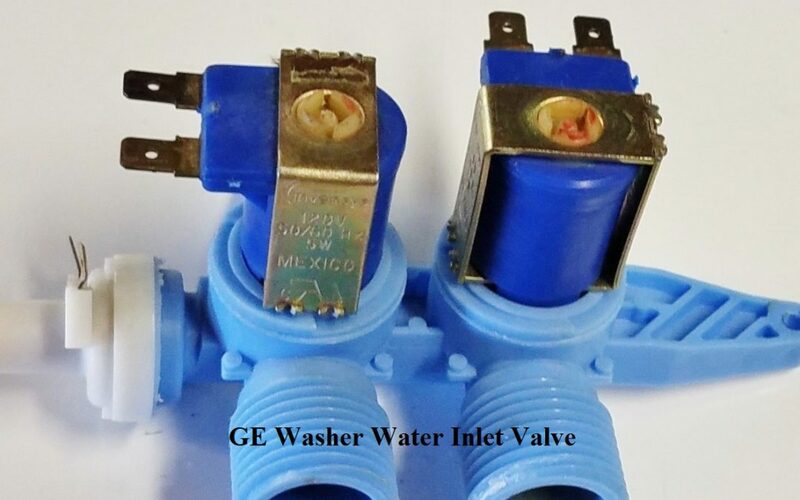 Before replacing the inlet fill valve or other parts on your GE washer you should check these items first. You will need to turn off the water supply to the washer. You will also need to check the filter screens in the water valve inlet ports as well as the filter screens in both of the water supply hoses, if any are present. It could be they are full of sediment or calcium deposits from hard water, preventing the water flow. If this easy GE washer repair help did not solve your washer, little to no water issue, then you will need to delve a little deeper and do some trouble shooting which will require a multimeter or voltage tester. This will need to be performed by a person qualified to do this testing.